"The tires were sent out very fast thank you for the great job." Produced by Falken Tire Co, the Ohtsu FP7000 offers high quality construction and performance combined with exceptional affordability. Packed with high performance features that enhance cornering, braking and acceleration, the FP7000 delivers year-round, all-weather traction, smoothness and stability at an excellent value. The low profile sidewall appeals to many drivers looking for a tire to match their personal choice in transportation. Additionally, the FP7000 features a non-directional tread pattern that allows ease of rotation for improved tire life. Great tire at a great price. Great tires for the price, and quality is right up there with the more expensive brands. Love the tires. Will purchase again ! These tires have performed great so far. They are nice and stable, with low noise, and good snow traction. Can't beat the price either. Tires has a very aggressive tread. Great traction in the rain. looking forward to using them in the snow this winter. Dry driving is great. For the price, these are pretty insane. Running them on 18' Rotiforms on my Audi S6. Traction is good, ride is good, nothing about them is really exceptional other than how great of a deal they are. A great product that was well priced for my VW EOS and i would buy another set. These are an excellent tire to stretch. They stretch better than any other tire I've come across. Better wear too... not to mention the price. I don't get as much wear as the average car, but for stretch and camber wear, these tires are awesome. I'm on my fourth set. I do love these tire they handle great in the dry, rain or snow. This winter has been terrible in pa but the tires have great traction in the snow. I feel they may be wearing quicker then I would like though. I will most likely but these tires again for the price they can't be beat. I purchased these tires for my Mazda MX-5 Miata. I love them. Great overall tire and a phenomenal value. I will purchase again. These tires are better than I thought they would be. Bought them because no one else had the size and price right, but my overall experience is great. I like the way they look. The way the handle and feel. I just bought 2 other sizes for my other vehicle. I would definitely buy again. These are the worst tires I have ever bought. They are extremely noisy. I have waited to take this survey until I exhausted all the possibilities of where the road noise was coming from. I am using them on a Lexus RX 350, a normally smooth riding quiet automobile. Great tires for the money. Used them through a brutal winter and the traction was great. 235/40/18 A little noisy during the brake in period if you run negative camber but, they quite down once warn in. I push these tires. Very grippy! minimal side wall roll. Winter/snow traction is excellent. Summer traction is excellent. Wet traction is excellent. You can feel them clawing at the road. So far tread ware seems good but it's too early to tell. Great value for the price. I replaced my Bridgestone with this Falken tires, its cheaper and so far better than my previous tire especially in snow. Pretty good value. They aren't amazing at one specific thing. An all around good all-season tire. 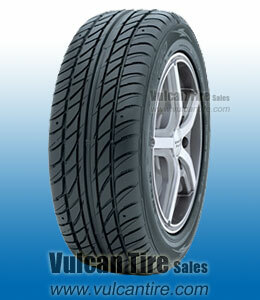 This is the 2nd pair of FP7000s I've bought from Vulcan tire to replace my worn out Nexens. Great performing tire for the price. Smooth ride & excellent handling, wearing a little faster than I would like but still better than the Nexens. Good hydroplane resistance for the sudden heavy downpours we experience in Florida. Overall a good value, perfect alternative to the more expensive Falken tires. Thanks Vulcan, great service & fast shipping. it's my first time to use this tire and so far its ok i like the tread life and the price.